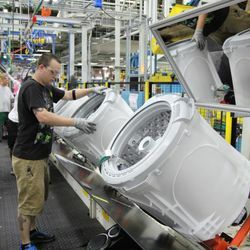 The new GE laundry pair is produced in Louisville, Ky.
LOUISVILLE, Ky. — April 22, 2013 — (NYSE: GE) — GE engineers and industrial designers have made laundry day less taxing with a universally designed frontload washer and dryer built for every body. 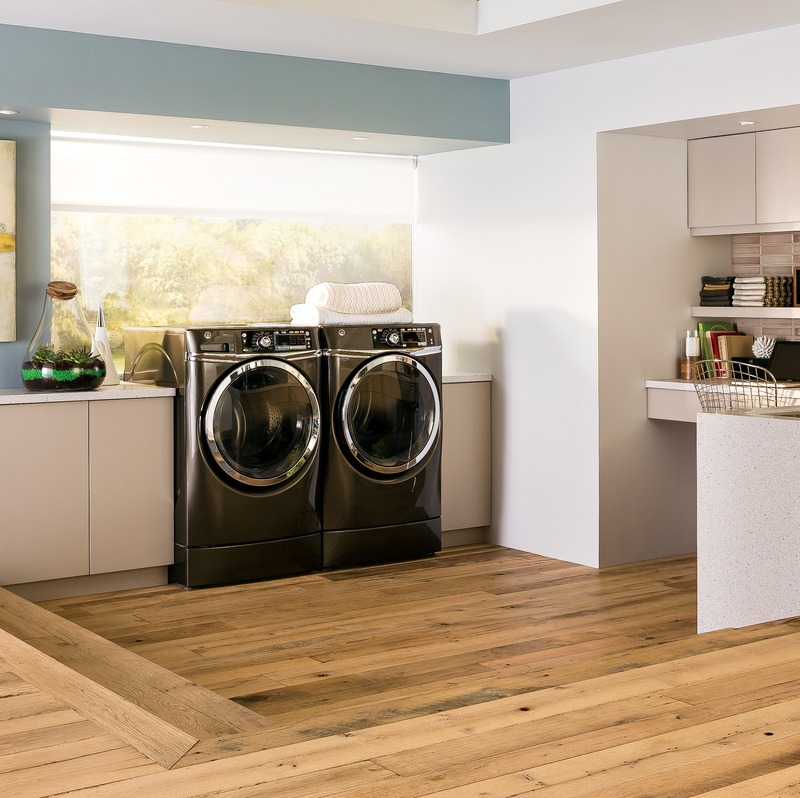 The GE® RightHeight™ Design frontload washer and dryer incorporate the industry’s largest openings and the first Built-in Riser™ to minimize strenuous bends and long reaches. 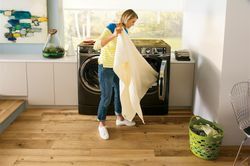 “Approximately 59 percent of consumers purchase a washer based on its opening and how easy it is to access,”1 said Paul Riley, marketing manager for the GE Clothes Care team. 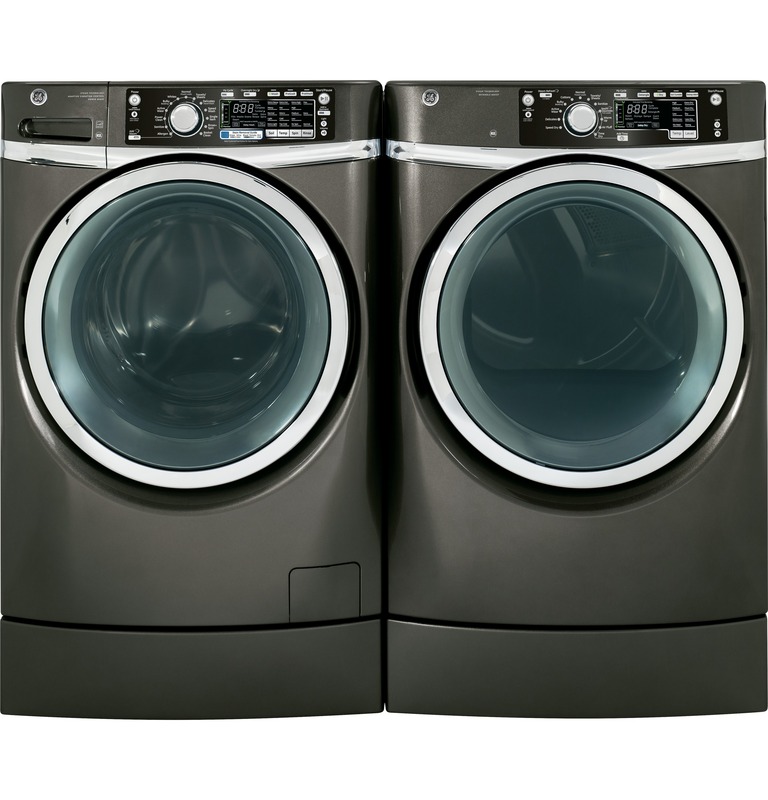 Although manufacturers recommend buying pedestals to raise the height of their washers and dryers, about 60 percent of consumers forgo the added expense.2 Many owners skip pedestals and spend their time in the laundry room hunched over, loading and unloading clothes. 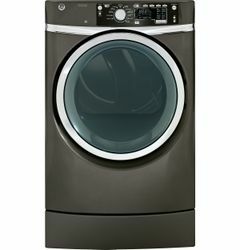 GE took the opportunity to improve the frontload laundry experience by offering Built-in Risers that raise the ENERGY STAR®-qualified washer and dryer 7 inches, a larger door opening to load and unload laundry, wash and dry features that simplify the process, and a variety of finishes suited to the latest home trends. GE's industry-first Built-in Risers™ for frontload washers and dryers mean less bending for consumers and more usable workspace. “Minimizing extreme postures, such as kneeling in front of the washer drum, was a focus in the development of the integrated riser on our new GE frontload washers,” said Dr. Cathy Emery, human factors manager for GE Appliances. GE engineered a wider door—the largest opening in the industry—to accommodate big items like a bulky comforter. Single-Item Wash: Ditch the environmental guilt with this uniquely designed cycle that offers great wash performance for single items. Steam Assist: Helps loosen hard-to-remove stains to get clothes clean. 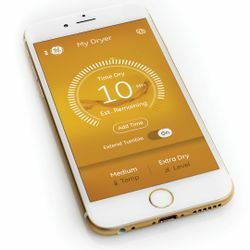 Multi-Dose Dispense: The washing machine does its best washing when the detergent is dispensed in smaller amounts during the wash cycle rather than dispensed all at once in the beginning. 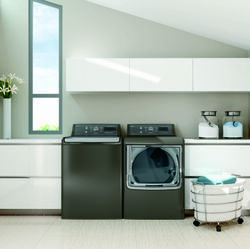 In this model, there is a timed release for detergent, bleach and fabric softener. Detangle Assist: This dryer feature makes wrestling clothes apart a chore no more. 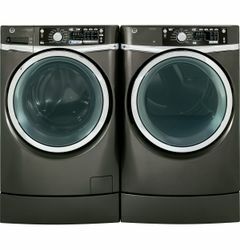 During the cycle, the drum rotates in reverse to prevent the tangling of clothing and speeds up drying results. * GE recommends pre-treating stains before washing for best results. † Color availability varies by model. 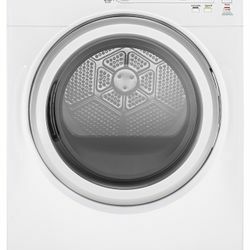 ‡ GE frontload washer's Overnight Dry cycle keeps clothes moving gently up to eight hours to remove moisture content for 2.5 lbs. 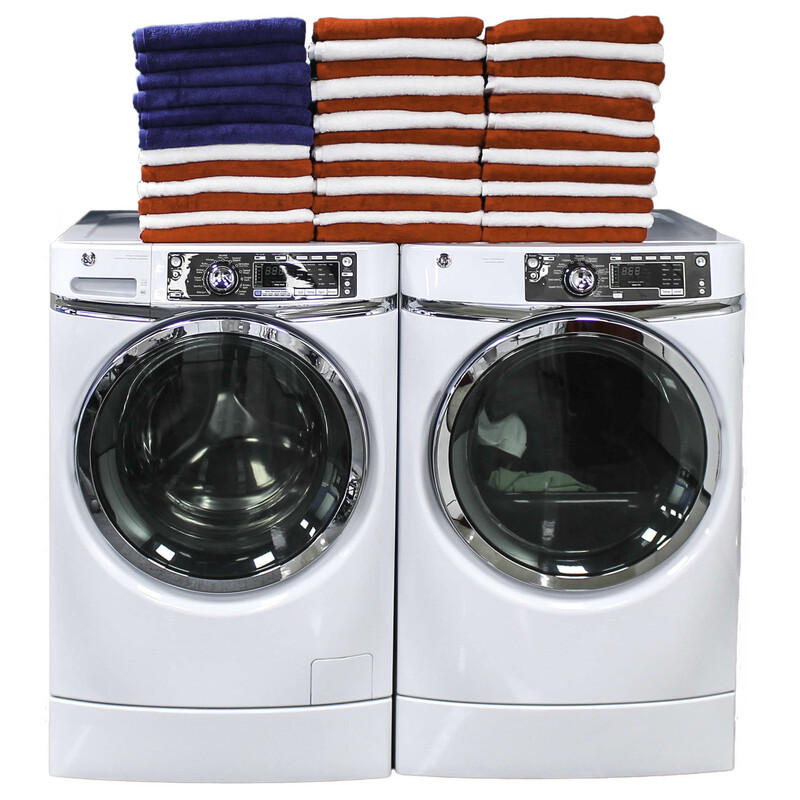 Association of Home Appliance Manufacturers spec allows drying of one pair of jeans, three cotton dress shirts, two soccer uniforms, three sets of crib sheets, one dress shirt, one pair of khakis, or two sets of scrubs. The GE® RightHeight™ Design frontload washer and dryer incorporate the industry’s largest openings and the first Built-in Riser to minimize strenuous bends and long reaches. 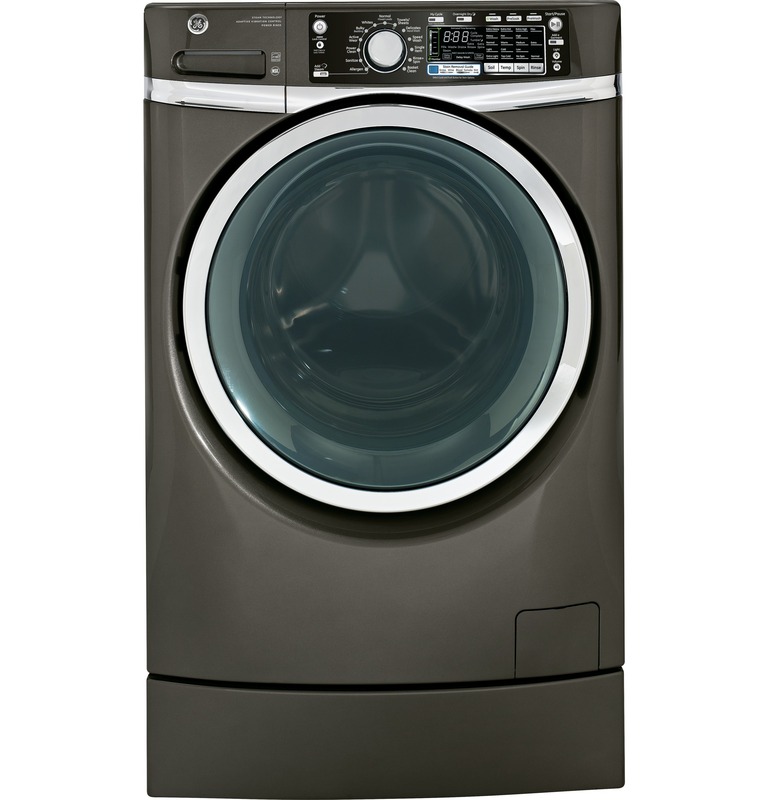 GE’s new ergo-friendly frontload washer and dryer are great for your clothes and your body. GE’s industry-first Built-in Risers™ for frontload washers and dryers mean less bending for consumers and more usable workspace. This infographic shows why your body can benefit from the GE RightHeight™ Design frontload washer and dryer with a Built-in Riser™. 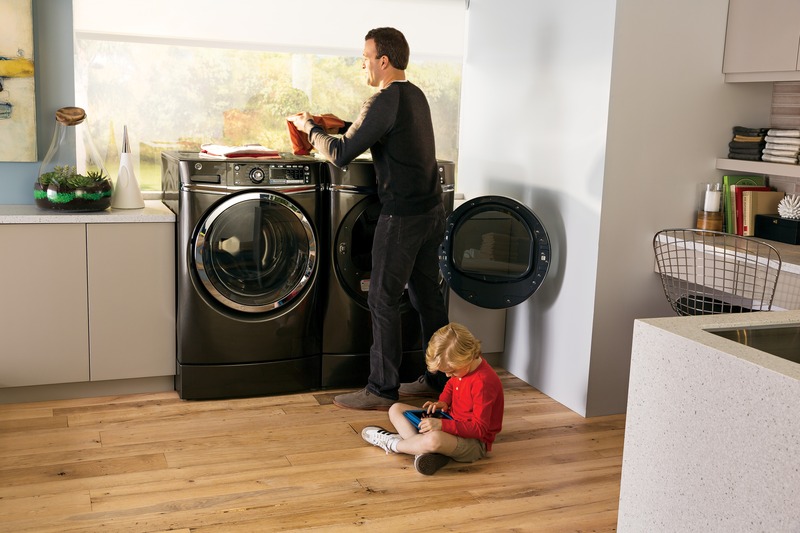 The GE® RightHeight™ Design frontload washer and dryer make laundry day less taxing with the industry’s first Built-in-Riser™ to minimizes strenuous bends and long reaches.